(Andrew Harnik | AP Photo) Roger Stone leaves federal court Friday, Feb. 1, 2019, in Washington. 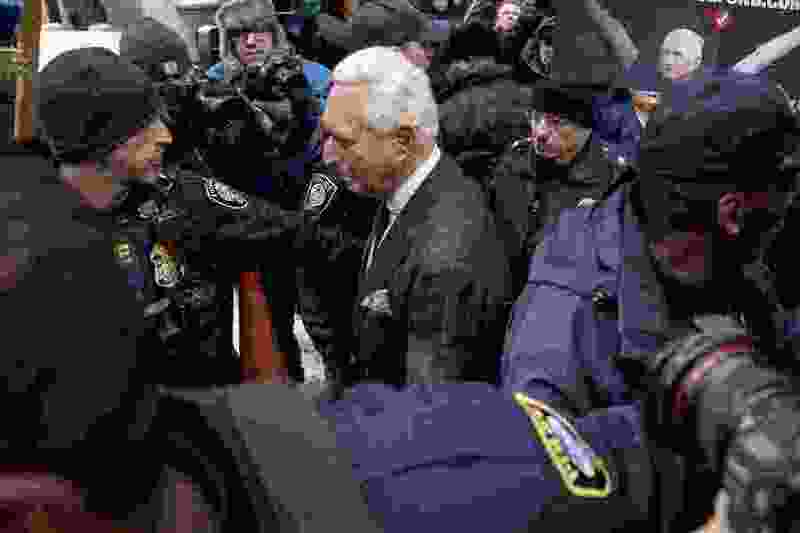 Stone appeared for a status conference just three days after he pleaded not guilty to felony charges of witness tampering, obstruction and false statements. Washington • The federal judge overseeing the criminal case against longtime Trump friend Roger Stone said Friday she is considering whether to impose a gag order after Stone went on a week-long media blitz to discuss the allegations against him.